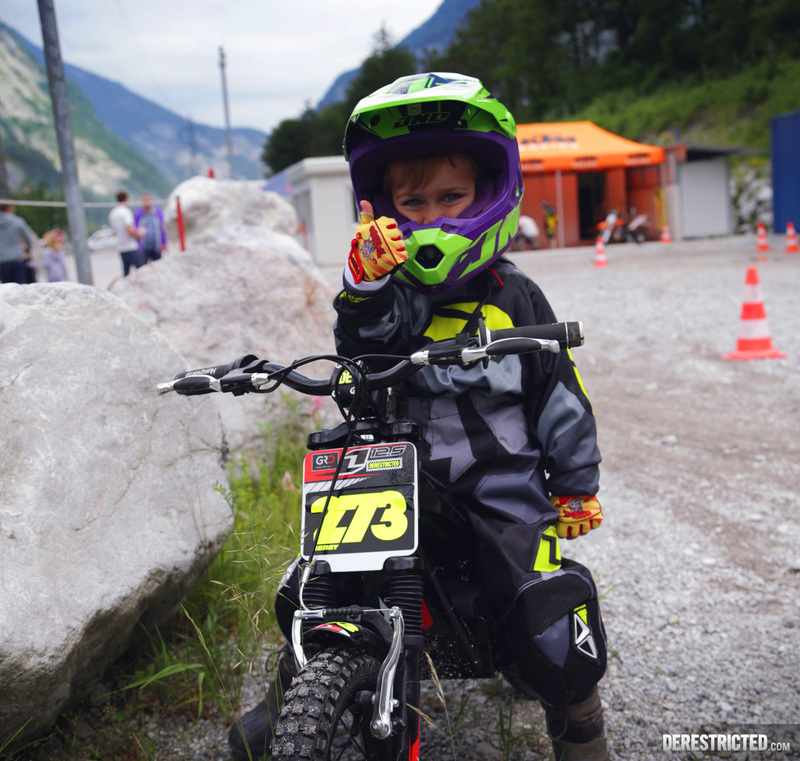 Our local track X-Bowl arena near Salzburg had on a ‘Schnuppertag’ today for kids to try out some bikes and get a feeling for motocross so I took my boy down there. 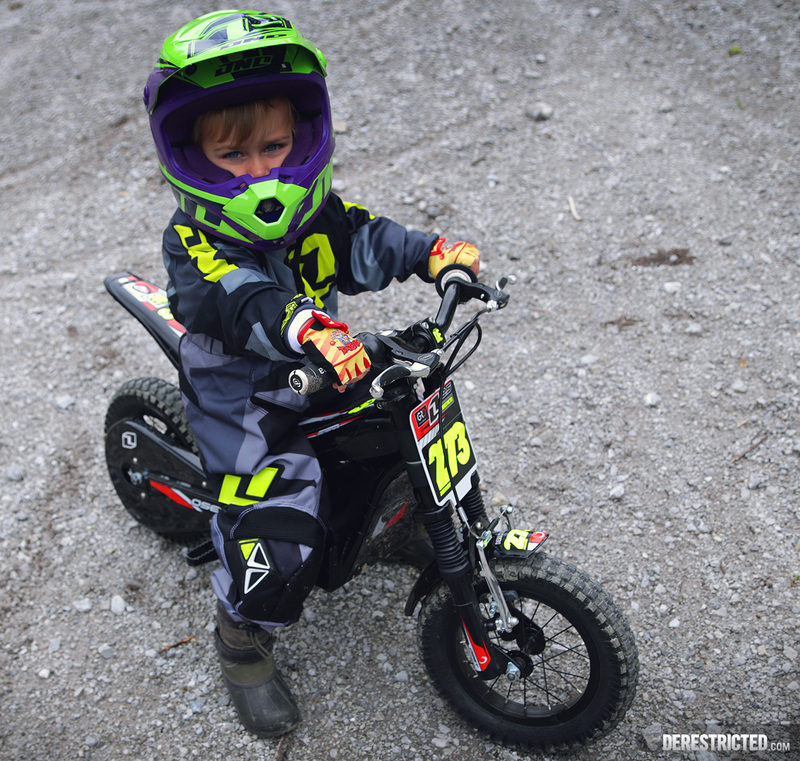 Since this is his 4th or 5th time riding and his first time to a motocross track I took some photos and put up a review of his little Oset 12.5 Eco 24v! Hands down the best thing about the Oset 12.5 is the ability it offers to modulate the power by turning a little screw hidden away at the back. 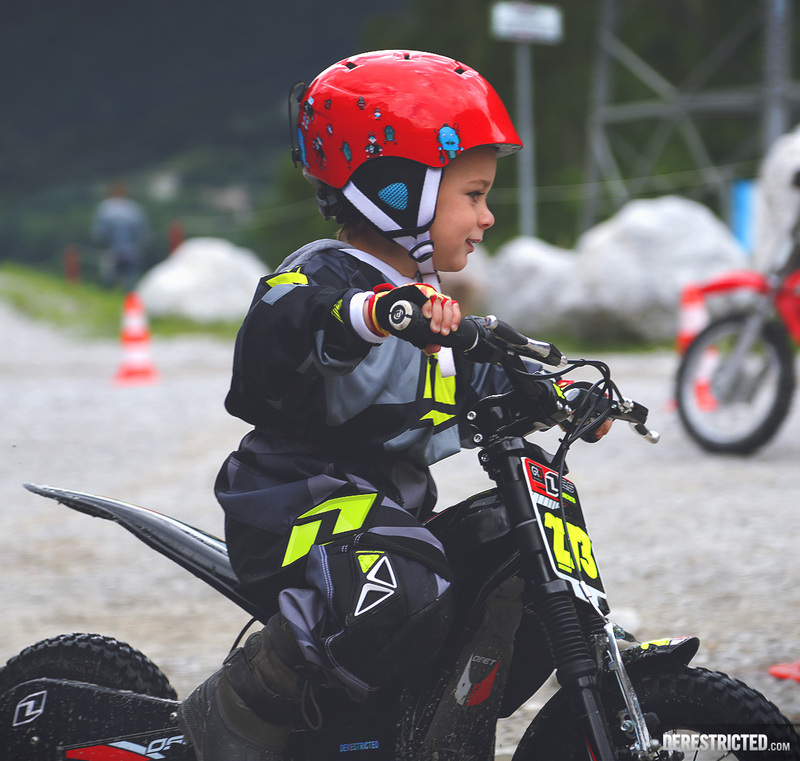 This not only helps you to placate your wife who in my case is still far from amused that I bought our son a motorcycle for his 4th birthday, but also and just as importantly allows you to set the power at a point that you dont scare your kid. I put it at a walking pace to start with so he could get the feel of it and have been steadily increasing the power as he gets comfortable. Another great thing is the stand over height. 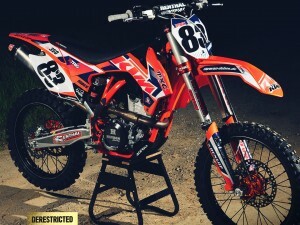 There is no other bike available on the market today that I am aware of that my son could stand over. He is on the small side so this is very confidence inspiring. 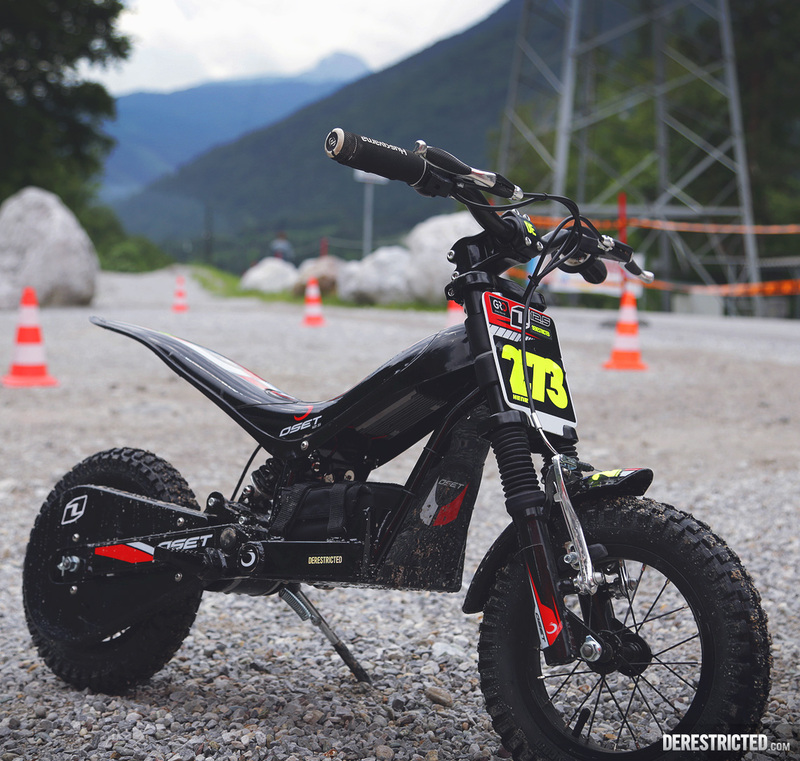 What I have found is that offroad, the power can be set quite a lot higher than on road. The reason for this and actually the biggest fault I can find with the Oset, is that the power is a little bit too binary. It seems to just be on or off, and there is very little progression in the power curve. In places with low traction this is fine because the back wheel spins a bit, even at a low setting, but on road the power results in quite a harsh jump forward. Offroad this burst of power actually helps but I wish the throttle was a bit more progressive. Anyway, the power modulation feature is brilliant. It is a bit of a pain in the arse to find the screw with the long screwdriver provided whilst crouching down and searching for it under the back of the bike, but they made it deliberately difficult so little fingers cant turn it. We still havent had it on full power. The battery is amazing and the bike has never run out of electricity so far. 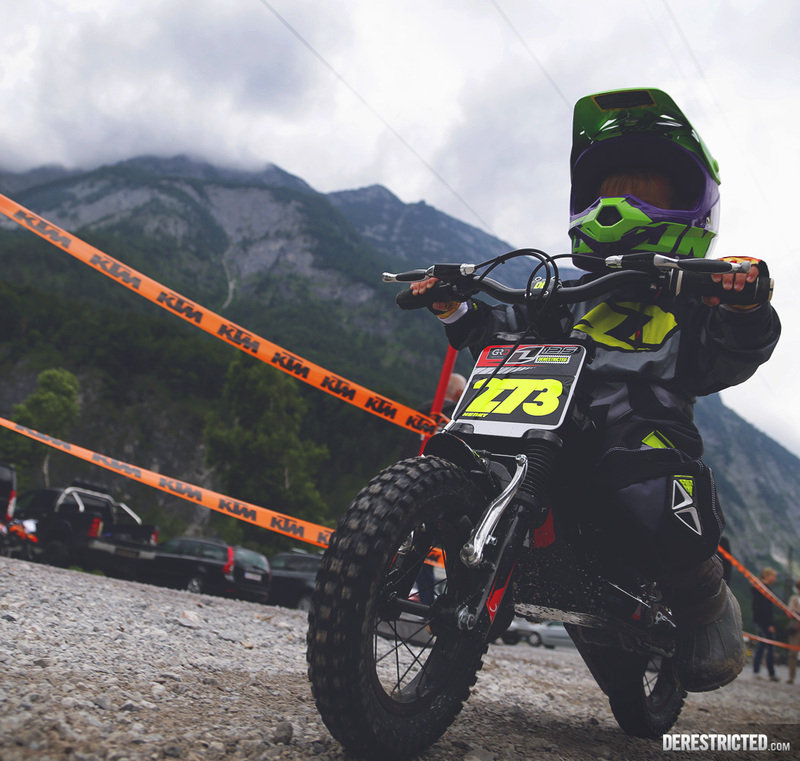 My boy is only just 4 and he has got tired of riding before the battery finishes every time so far and I then just stick it on the charger overnight. Well, he certainly looks the part! I didn’t get my first set of new gear until I was a teenager but since I could get him it, I figured why not. Here he is reaching down to turn the key which turns the bike on. He loves doing this. Just rides a bit, comes back and turns it off. Chills a bit, then turns it back on again and off he goes. You see some lights showing how much battery you have left come on next to the throttle. 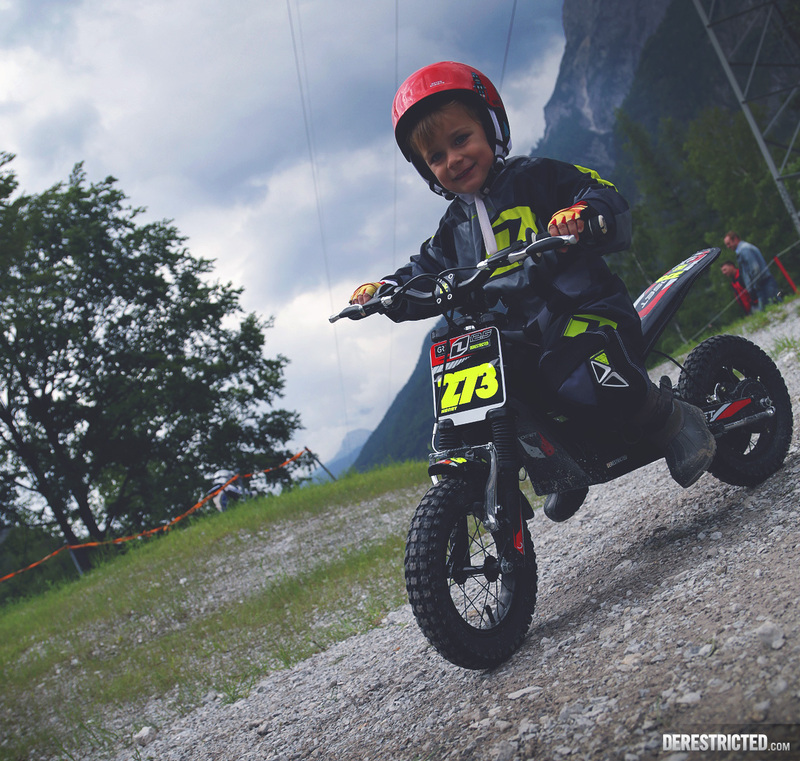 Today he liked the bike a lot more when I put the power up. 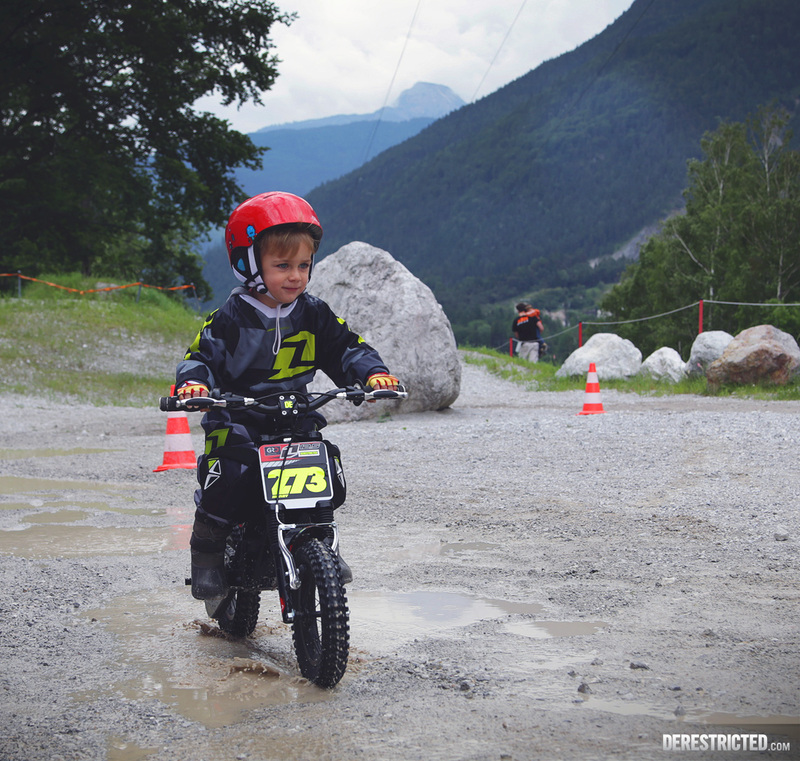 In the past this has always made him a bit nervous, but on the loose surface he found it much easier with a bit more power to play with as the bike was more stable going a bit faster. Well, what else can I say about it, the bike has suspension which he likes, but truth be told I am not sure it’s all that good. It has brakes, which he cant really reach but also doesn’t really need so far. I switched the grips to some Husqvarna ones we had lying around because the sock ones were massive things he couldnt grip. The bike is very heavy as well, but this is not so bad as it makes it stable for him. 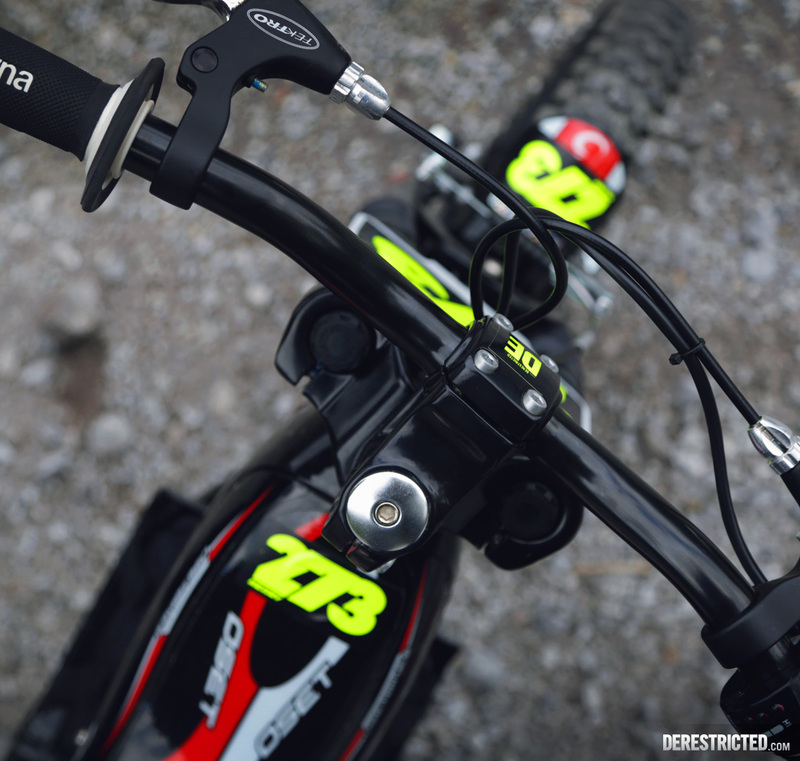 “The 12.5 has sold more bikes around the World than any other OSET for good reason. In this size category, this bike makes more sense than anything else! 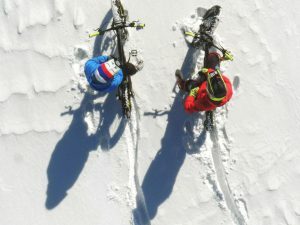 It’s simple to ride and to own, and maintains it’s value over time. 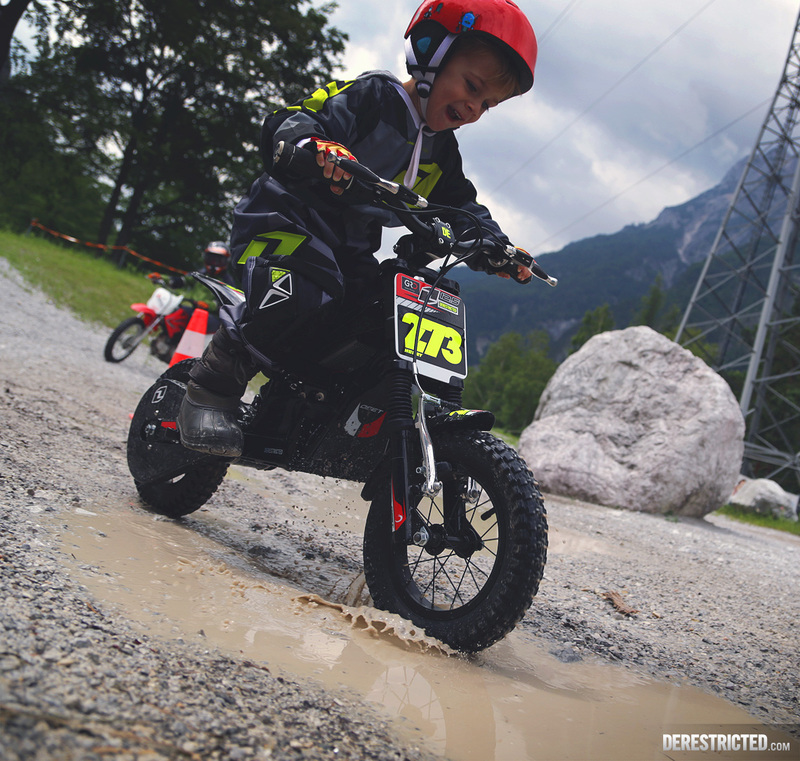 Cost of ownership is small, but the pleasure from teaching a child to ride is priceless”. 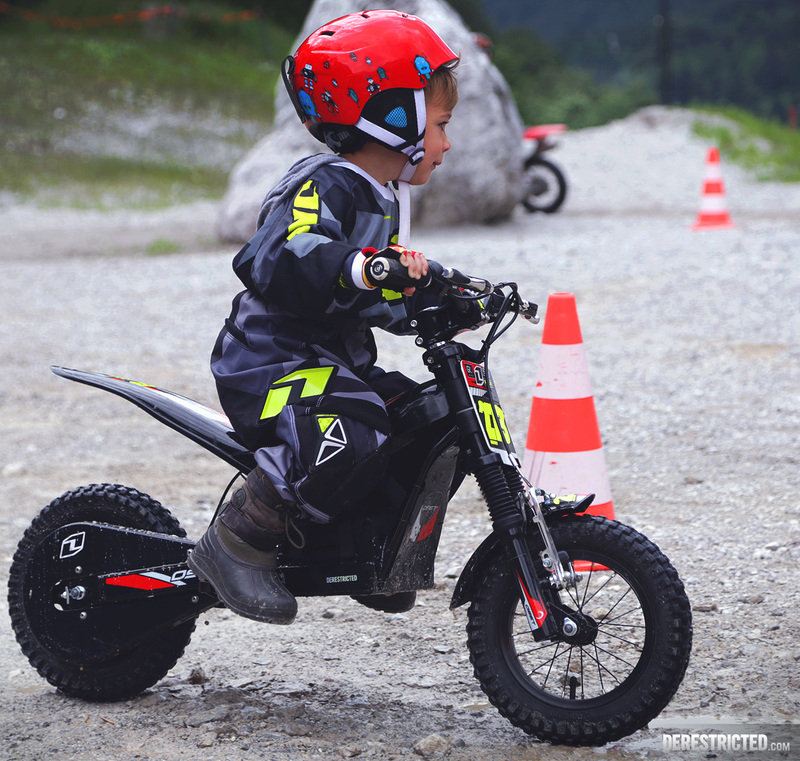 The OSET 12.5 is simple, sturdy, adjustable and easy to manage for riders from 2-5 years old. 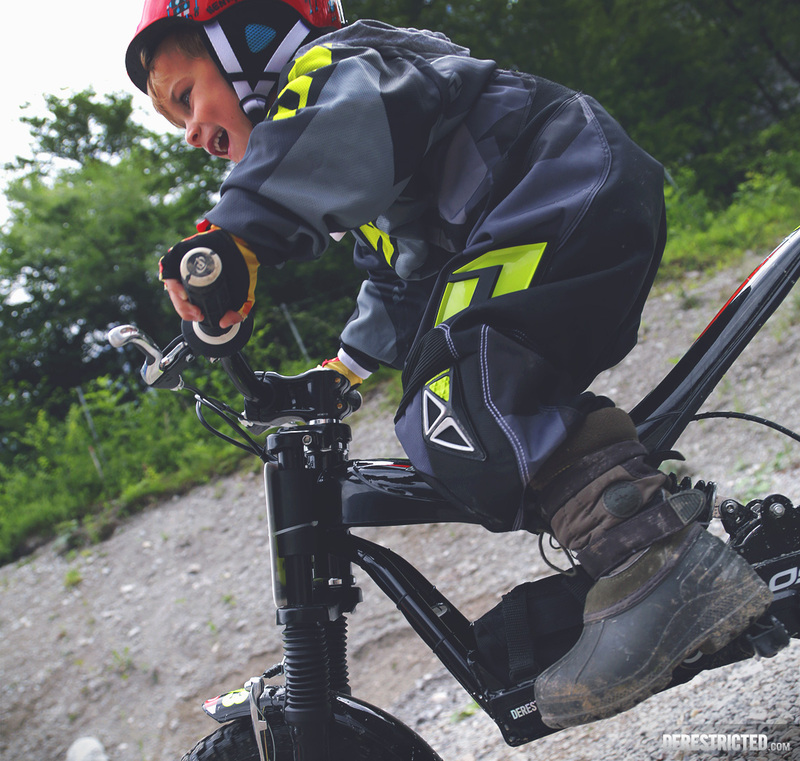 A twist of the ‘parent adjustable’ speed dial allows the bike to grow with the child as their skills improve. What age to start?? Well… that depends on the child. Some children can concentrate well enough at the age of 2. Others will remain easily distracted until 3 or 4. In any scenario, the OSET 12.5 can suit their needs. 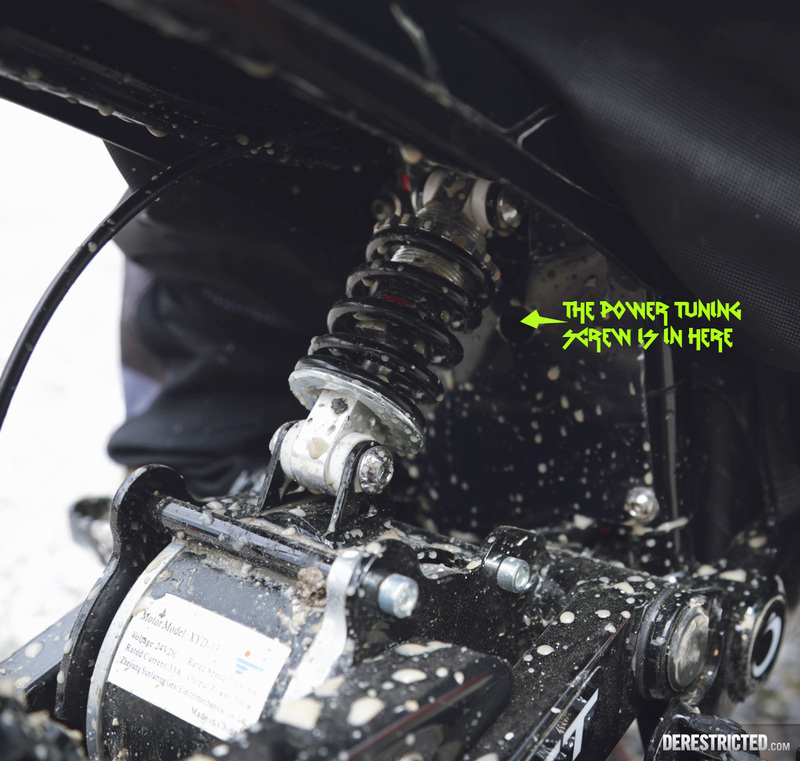 The rear suspension pre-load can be wound back so the bike squats down and the very smallest of riders can get their feet firmly on the ground. 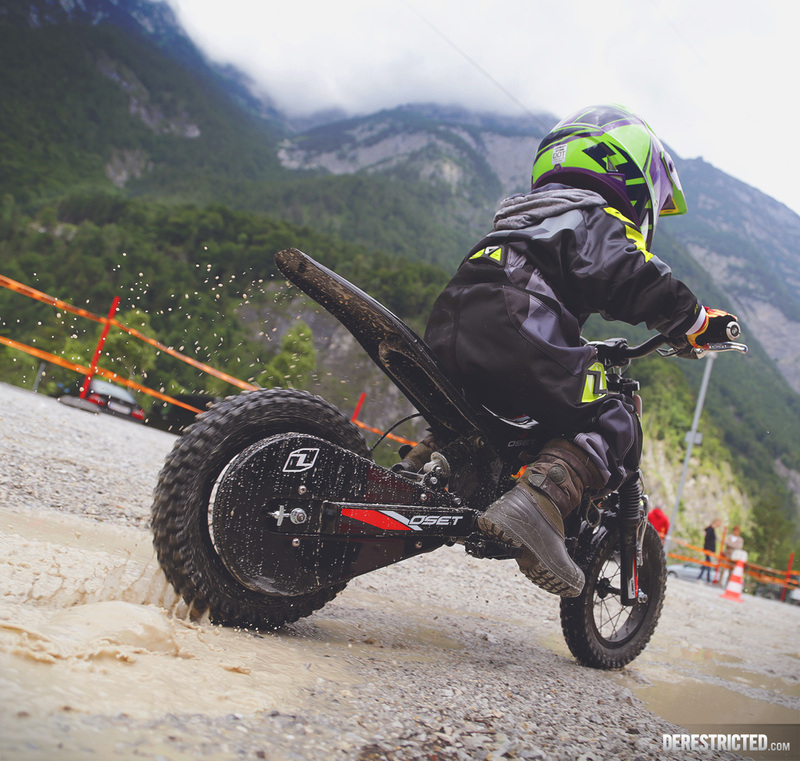 With the speed dial set to walking pace, the parent can follow the rider with a firm hand on the rear mudguard and assist as the child learns throttle control and balance. 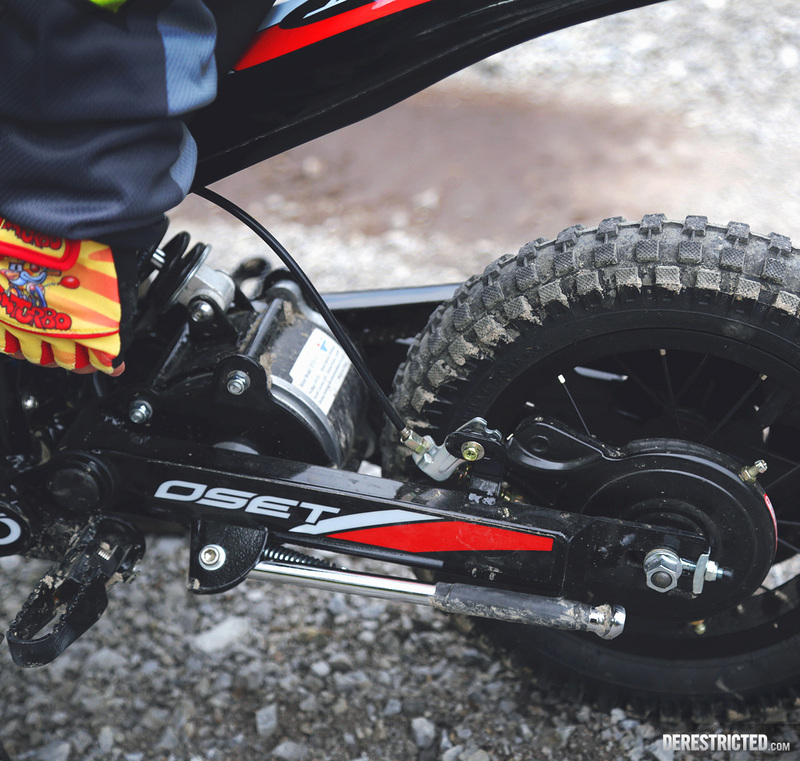 The OSET 12.5 weighs just 47lb’s, with the majority of the weight carried low and in the middle of the bike, which allows 3 year olds to pick up their own bike! 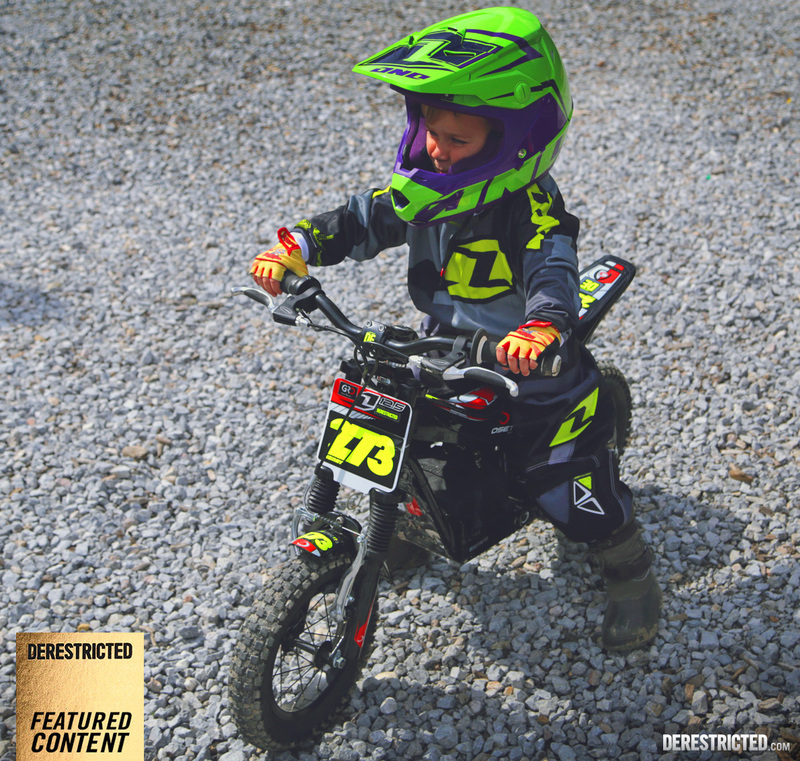 The OSET 12.5 has front and rear suspension, reach adjustable brake levers, a full coverage chain guard, small custom OSET foot pegs for little feet and a first rate reliability record. Cost of ownership is very low, and re-sale value very high. Cost of ownership is also very small. There is very little to break! 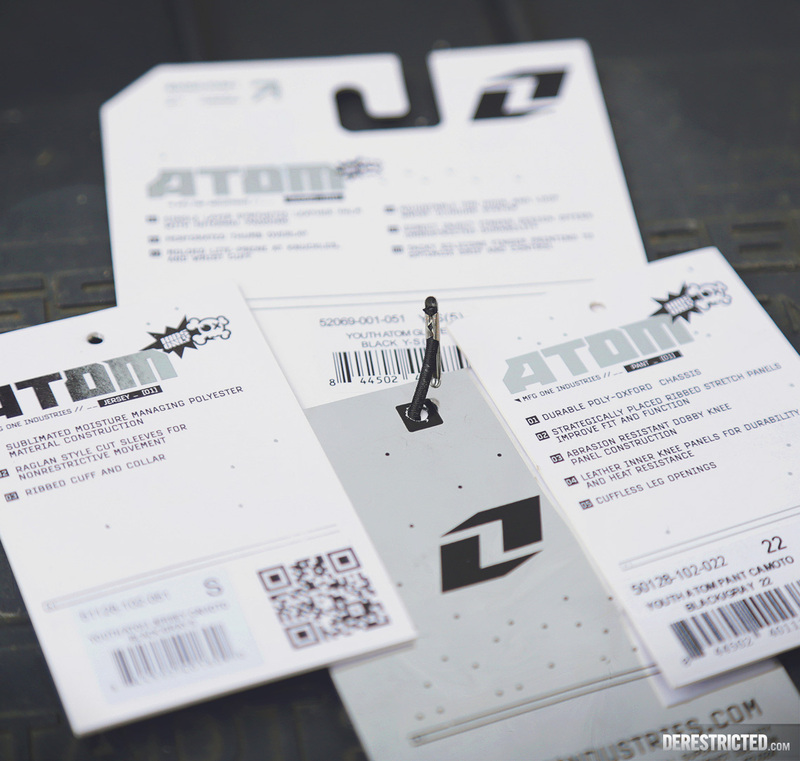 Spare batteries for advanced riders (who ride all day) can be purchased for about £60. It can be fully charged from empty in about 4 hours. 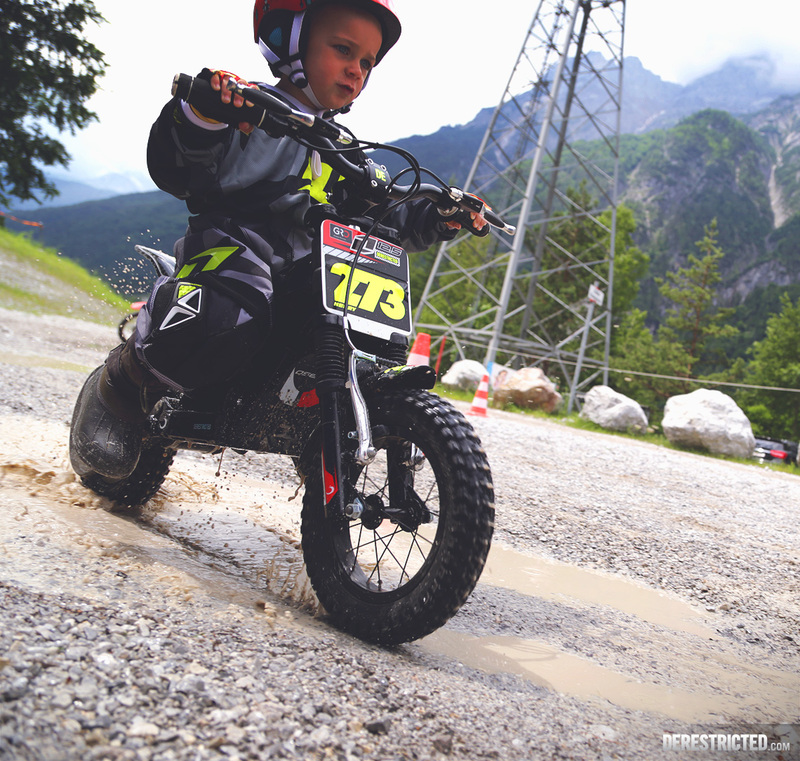 Worldwide, this bike is commonly known as the very best place to start children’s riding careers. 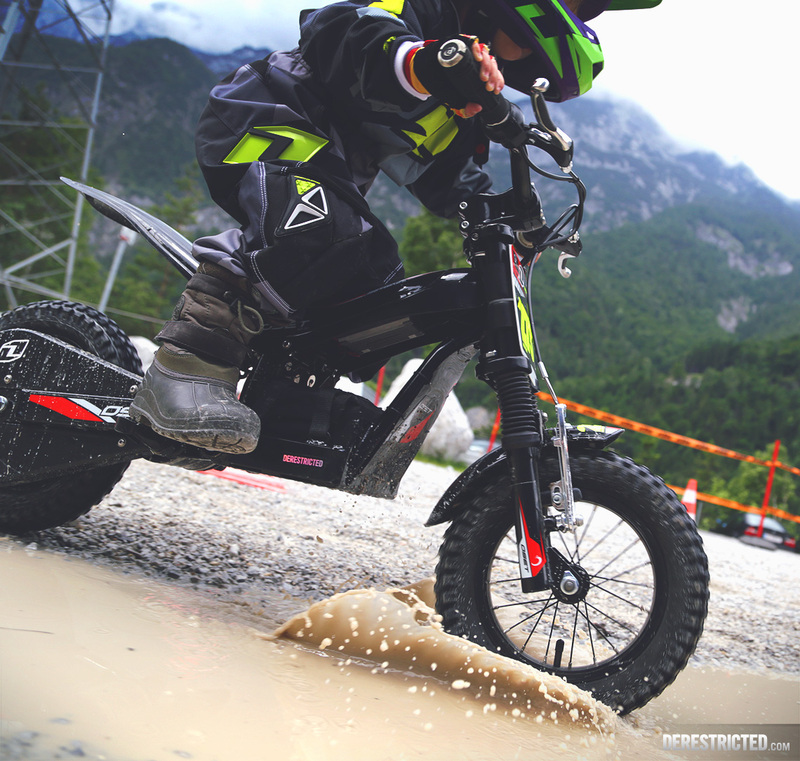 In fact, in 2009 the OSET 12.5 was voted Dirt Rider Magazine’s ‘Product of the Year’! 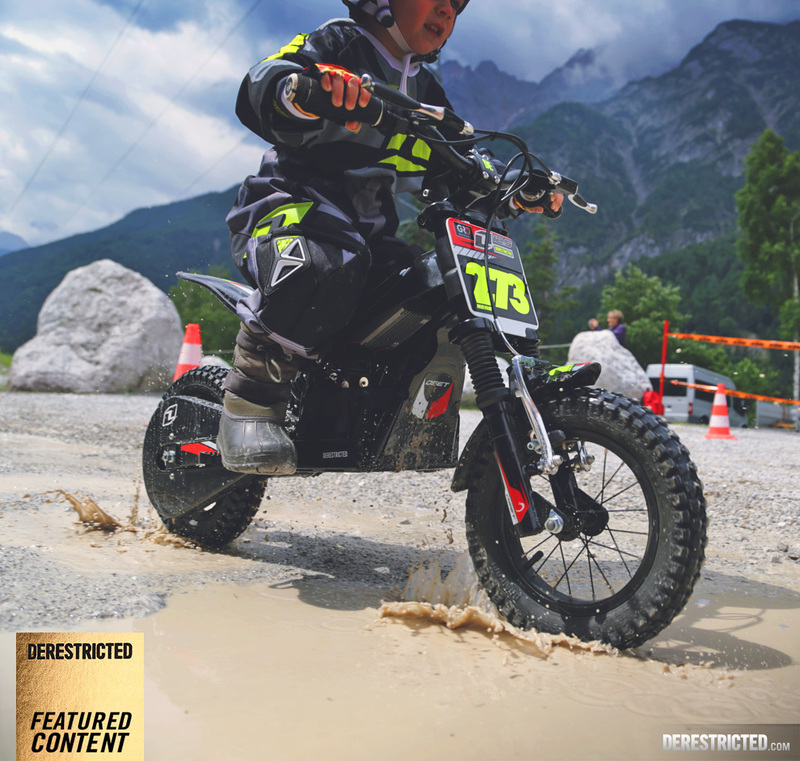 Dirt Rider is the biggest MX/Enduro/Off-Road magazine in the World, and tests THOUSANDS of products a year. To win Product of the Year was an incredible honour for OSET, and a testament to OSET’s quality and place in the market. 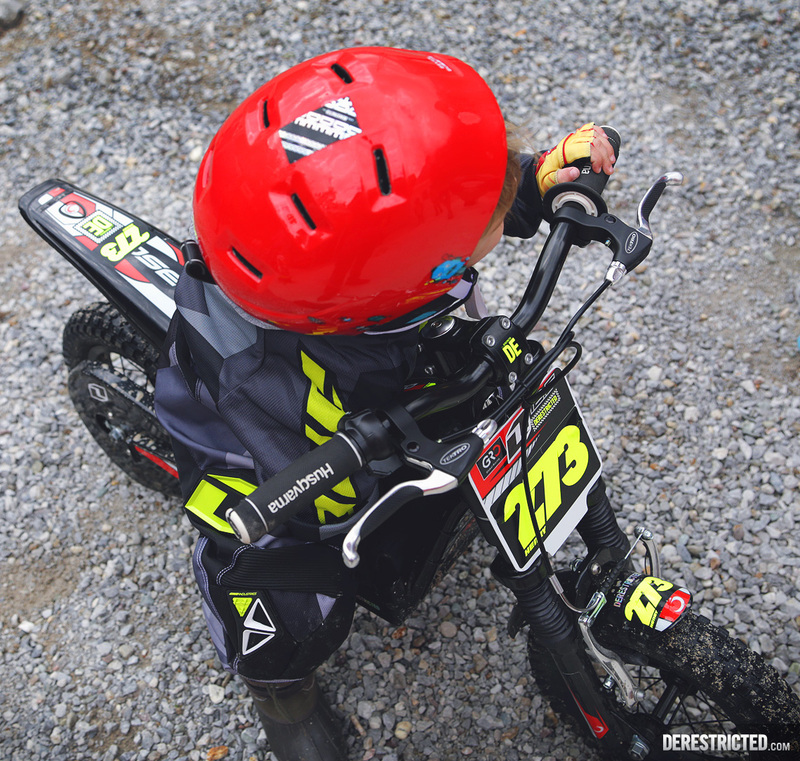 In case you were wondering about his ridiculously fresh gear, it’s the One Industries Atom Kids gear. He picked it out from the One Industries website and he loves it. Overall verdict? It is certainly not perfect but the Oset 12.5 gets a big thumbs up from both of us. Now I am so tempted to get one for my boys, age 4 and 6! Now I am totally tempted to get one for my boys, age 4 and 6!